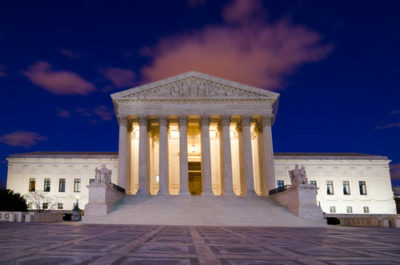 As the U.S. Supreme Court hears oral arguments in the case of an Illinois government worker opposed to paying “fair share” union dues, employers await a decision that may upend 41-year-old precedent and strike a blow to unions that represent public-sector employees. The Court is set to hear arguments on February 26 in Janus v. American Federation of State, County, and Municipal Employees (AFSCME), Counsel 31. The case challenges a union’s ability to collect what’s known as “fair share” or “agency” fees from employees who don’t belong to a union and are covered under union-negotiated contracts. Those opposed to the fees say they shouldn’t have to pay fees to a union they don’t belong to or want to support. They are calling on the Court to overrule the 1977 Abood v. Detroit Board of Education decision, which allows unions to collect from nonmembers the portion of dues used to cover the costs of negotiating contracts that cover all public employees but not the portion of dues used for political purposes. Those who want the Abood decision to stay in force say employees who don’t join but are represented by a union would be “free riders” if they don’t pay the portion of fees that go toward negotiating for employees. In Janus, the employee argues that requiring fees from employees who aren’t members of the union is a violation of their First Amendment rights. He maintains that he shouldn’t have to pay fees because all functions of a union representing public-sector employees are essentially political. The Janus case isn’t the only fair-share-fee case to go before the Court recently. In March 2016, the Court ruled 4-4 in Friedrichs v. California Teachers Association. Both Janus and Friedrichs address the question of whether public employees who aren’t union members can be required to pay the fees. Friedrichs was decided after the death of Justice Antonin Scalia but before Justice Neil Gorsuch joined the Court. Many have predicted that Scalia would have voted to overturn Abood and that Gorsuch will cast that vote in Janus. International Brotherhood of Teamsters: The union argues that unionization rates are lower and “free riding”—employees benefiting from collective bargaining without paying union dues—would be rampant absent fair-share arrangements. The union also states that some bargaining units aren’t viable without a requirement that all employees share in the cost of representation. Fraternal Order of Police: The brief argues that “unique aspects of law enforcement and public safety employment” justify agency shop provisions to fund collective bargaining efforts and that such bargaining benefits the public. The union states that law enforcement unions and similar public safety unions engage in bargaining activity that is not political speech or lobbying. Center for Constitutional Jurisprudence: The brief argues that public-sector collective bargaining is “indistinguishable from other lobbying activities” and that compelling public employees to pay agency fees for bargaining is contrary to the original understanding of the First Amendment.